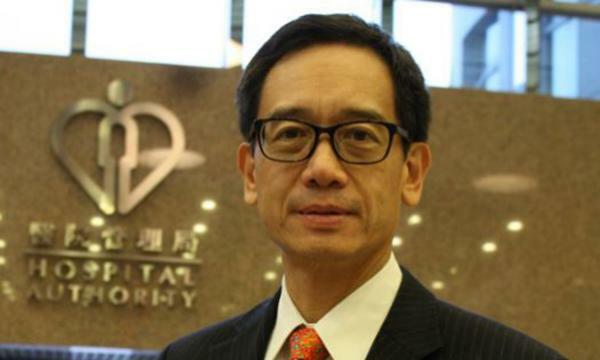 The Hong Kong Hospital Authority is crafting a centralised mobile app which will give patients and doctors a single framework to access disease information and treatment options, Healthcare Asia has learned. “What we have done over the last few years is to develop a series of apps for various things. What we're doing now is that we're putting it all together into one common framework so that it becomes an extensible framework for all interactions with the Hospital Authority and with their own healthcare providers. This is what we are building and it's going to be called HA Go,” says Dr NT Cheung, Head of Information Technology and Health Informatics/Chief Medical Informatics Officer of the Hong Kong Hospital Authority. The app, which is slated to be launched in the first half of 2019, will be designed to address the inherent limitations that current health-related mobile applications face. “There’s a big limitation when you do clinical apps because you have to be very careful about the security of the data. The idea here is when we say framework, part of it so that we have a consistent way of registering patients and their carers. Within this framework we can then allow our clinicians to communicate with the patient with the assurance that we know who they are,” Dr. Cheung explains. The HA first started its big data push by developing simpler healthcare apps to improve patient experience, such as an app to reduce pharmacy queuing, and another to automate bookings for specialty outpatient clinics. “And then we started building more disease-specific apps. We found that we are starting to build more and more of these apps. There are hundreds of thousands of different diseases, and in theory you can make an app for each of them. But for a patient that will be unworkable. So the idea here is that all they need to download is HA Go, and if they need the diabetes app, the doctor will press a button on his system and the diabetes app will get pushed to their machine and they wouldn’t be bothered with the apps that they don’t need,” Dr. Cheung says. HA Go is part of Hong Kong’s effort to better engage patients in their own care. “A more involved and more educated patient is a healthier patient. We have a comprehensive medical record system within the Hospital Authority already. It’s called the Clinical Management System and the doctors use that for all of their care and orders and things. But the thing is that when patients go home, their behavior doesn’t make it to the system—whether they are exercising or eating well or anything. They might be keeping a paper diary or this and that. The idea here is that the information about what the patient is doing outside the hospital also gets recorded, and when the doctor sees them again they will know exactly what the patient has been doing,” he adds. With HA Go, each patient becomes a contributor to their own record as the app reminds patients of things when they need to do them, and all under a single framework which allows doctors to prescribe apps as needed to patients. “And then the app will be able to take relevant patient data from the system and customize the experience for the patient. And the patient data will also then flow back into the medical record for the doctor’s review. It’s a complete picture end-to-end involving the patient and tying in with the workflow of the doctor who is already electronically enabled, but at the moment the last mile of the patient is not available,” Dr. Cheung notes. The HA receives the lion share government healthcare allocations which have been steadily growing by an average of 7% over the past decade, data from BMI Research show. Finance secretary Paul Chan boosted the recurrent financial provision to the HA by $6b to $61.5b in his latest budget address, representing a year-on-year increase of 11%. Thanks to the budget boost, the HA has been able to tap on emerging technologies such as big data to improve clinical outcomes. “We’ve had access to standardized, high quality data for many years. But now we’re talking about big data. And there are a lot of unstructured data that we can also get value from. But now with the tools that we have, we believe that this data is ripe for extraction,” he explains. For instance, the HA is building a collaborative data lab to support machine learning in Hong Kong. “What we’re going to do is that we will take this data and scrub it so it doesn’t have any identifiers, and then it can be offered to researchers who have machine learning projects who think that this data is workable. We hope to take advantage of all this data to drive machine learning projects in Hong Kong around healthcare,” Dr. Cheung says. The data lab is still being set up, but it is due to launch this year and run for twelve months on a pilot basis, in collaboration with local researchers and universities. Despite this, there are many other issues which need to be addressed when it comes to building healthcare apps. “We need to figure out how to use these algorithms—whether there will be possible downsides and mistakes and so on. We’re still at the phase where we’re learning to build the algorithms and the machine learning engines,” he notes.